As seen in the film ‘Ghajini’, Aamir Khan suffers from short term memory loss. Short term memory loss is a dangerous disease especially if someone is a legendary investor like me.If a legendary investor can’t remember his own stock picks beyond 15 minutes then he’ll never be able to remember what he bought and when to sell. I anticipated this problem of short term memory loss when I began my career as an investor. 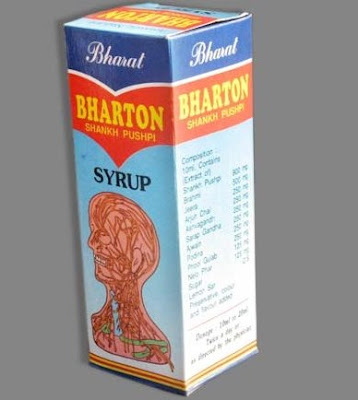 Hence I bought an Ayurvedic Memory Enhancer called SHANKH PUSHPI syrup. Now available in half liter and 1 liter. Because I consume 1 teaspoon of this everyday my memory is very strong. Hence, I don’t suffer from short term memory loss. Aamir Khan on the other hand can’t even remember if he’s a man or a woman. I know this because I saw him on TV dressed as a half- man,half-woman in the TATA SKY TV commercial. He also said that if I put Tata Sky in my house my life will be JINGA LA LA. I don’t know what JINGA LA LA is but I want my life to be JINGA LA LA so I put Tata Sky in my house. Now, don’t mistake me. I’m filthy rich so I also have Airtel DTH, Big TV, Dish TV and yet to be released DTH services in my house including Ukrainian DTH --Damutschka Jyh service. As I was watching Tata Sky I landed at channel 219.It’s a channel called NDTV Goodtimes started by Prannoy Roy and Fake Doctor Vijay Mallya. Why the bloody hell is Mukesh Ambani acting like such a freakin dickhead? It’s because of his wife Nita Ambani. The lady is messing with my good friend’s head and this is the reason he’s been acting like Deve Gowda on saturated Red Bull. 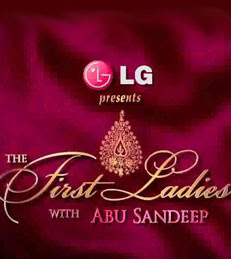 I saw Nita Ambani on a TV show called ‘The First Ladies’ on NDTV Goodtimes. It’s a show hosted by two guys I’ve never even heard of. 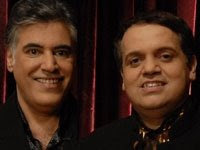 One guy is called Abu Jani and the other is called Sandeep Khosla. These two are apparently fashion designers. I fail to understand how these two freakshows have managed to get their own talk show while I, the WORLD’s 1001st richest man have to make do with ‘special appearances’ on CNBC TV18 and NDTV Profit. I have put Noida Police on the case and I expect them to find the answer sometime this millennium. But because of this interview I have gained crucial insights into the mind of Muk-Hays Ambani and how his wife has coached him into giving long winding answers that never lead anywhere especially at shareholder meetings of Reliance Industries Limited. Nita could have given just one answer to every question that the two fashion guys asked. Fashion Guys: Why did you marry Mukesh? NITA: BECAUSE HE’S (F WORD) SUPER RICH!! JACKASSES. Fashion Guys: Why did Mukesh buy the ‘Mumbai Indians’ cricket team? Fashion Guys: When you decided to marry Mukesh what about him impressed you the most? NITA: THE FACT THAT HE’S (F WORD) SUPER RICH!! JACKASSES. Fashion Guys: How does it feel to be married to Mukesh Ambani? NITA: IT FEELS (F WORD) SUPER RICH!! JACKASSES. Fashion Guys: Why did Mukesh buy you a plane as a birthday gift? 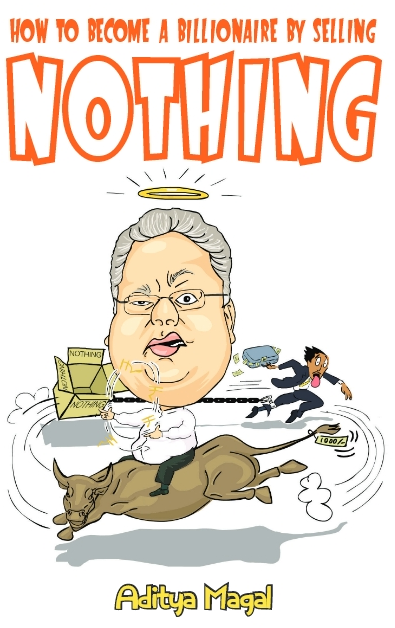 NITA: BECAUSE HE’S (F WORD) SUPERRICH!! JACKASSES. This program causes short term memory loss. 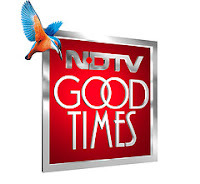 Maybe Mr.Ramalinga Raju should have seen ‘The First Ladies’ on NDTV Goodtimes.If he had developed short term memory loss Satyam Computers won’t cause so many long term problems.